It's a pub quiz! Get in on this three-round quiz with ten questions in each round held every Thursday night at Shenanigans Irish Pub in the Raval. 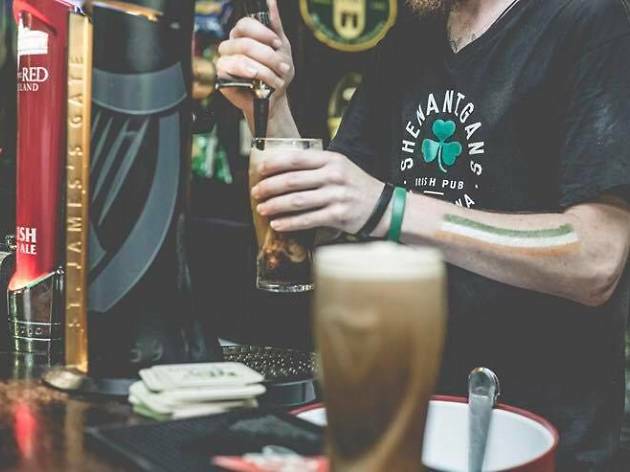 Winners of each round get free shots, and the overall winning team gets a €30 bar tab. 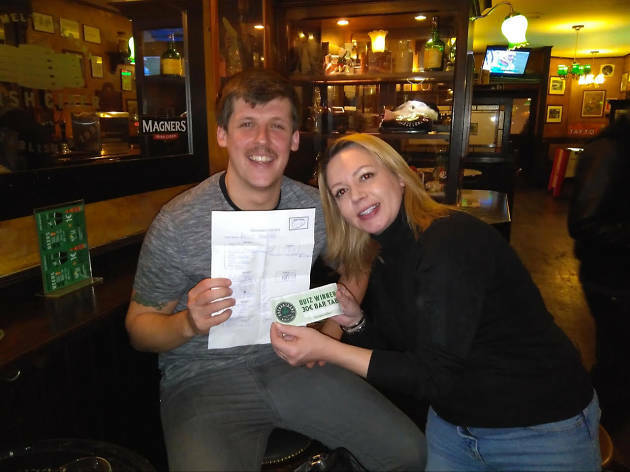 The quiz also has several sponsors, who set them up with bigger prizes once a month, so you could win ski trips, tickets to Barça games, more booze, trips within Europe, and more! Expect around 30 to 40 participants each week, among them locals, expats, visitors, students... The quizmasters do their best to create questions based on topics anyone from anywhere in the world would be able to answer, so don't be shy, and get in on the fun. 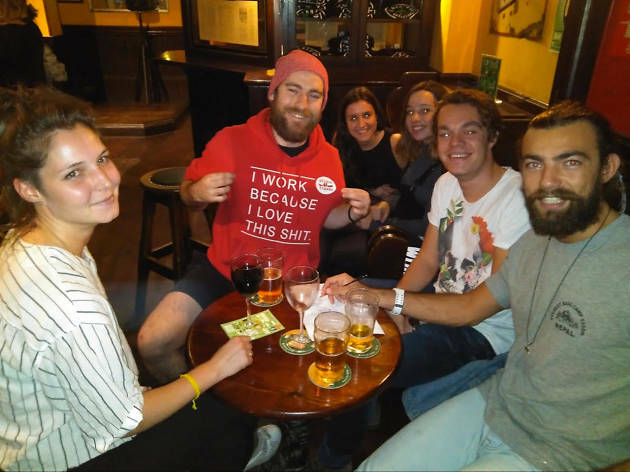 Go along as part of a team or on your own to join a team in this open environment where you're sure to make new friends and have a laugh. Though the quiz is mainly in English, there are loads of visual (i.e. movies) and audio (i.e. music clips) questions, and you can answer those in any language. A great way for non-native speakers to practise their English as well. Tip: Visit the website to try your skills with the online quizzes. 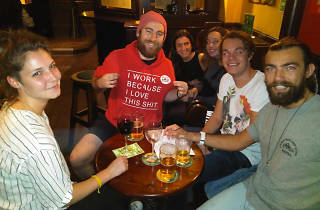 The quiz was a lot of fun, and we got to meet some other people from Barcelona at the same time! The questions aren't too difficult, and it made for a really fun night out with friends. Will definitely be going back to win again!